Cadbury Easter Egg Hunt for Barnardos! 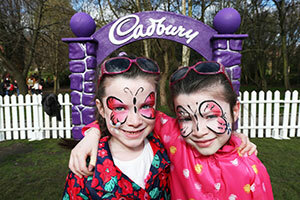 A Choc-tastic Easter at the Cadbury Easter Egg Hunt for Barnardos. Make it a choctastic Easter weekend and bring your little Eggsplorers to the Cadbury Easter Egg Hunt in Merrion Square on Good Friday and Easter Saturday, all in aid of Barnardos! 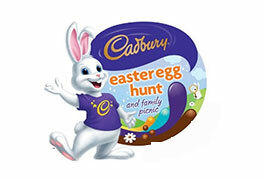 Cadbury has lined up another egg-stra special family event, with all participants receiving a delicious Cadbury Easter egg on completion of the hunt! As well as having a hopping good time on the Easter Egg Hunt, families can eggsplore the Easter Bunny’s Village with lots of activities, games, magic, tasty treats and much much more. Afternoon event, from 2.00 pm to 4.30 pm. Ruth Guy, Barnardos Director of Fundraising and Marketing spoke at the event: “Barnardos work is long term, intensive and focused on changing the lives of the children and families we work with. We could not do this without the support of events like the Cadbury Easter Egg Hunt for Barnardos – a magical fun day out for the whole family which raises vital funds for our work. We are thrilled and hugely grateful to be part of this wonderful event for the second year running”.